The top 10 is finished. I have the films selected, ranked and ready to go. In fact, I was about to skip the Number 11 post entirely and go straight to the business when I was struck by the sentimentality of tradition and the memory that my finacêe made me insist that I acknowledge *her* favorite movie of the 2016 at some point during my year-end posting. Director Denis Villeneuve is on a pretty impressive streak, with this year’s “Arrival” coming after last year’s “Sicario,” and both “Enemy” and “Prisoners” in 2013. I haven’t seen his earlier work, but if what I hear about “Incendies” is true, then the streak continues. His film are difficult to categorize, and none more so than Arrival, which is ostensibly a science-fiction film about aliens visiting Earth but doubles as an examination of hope and the binding power of communication. It’s also a showcase for actress Amy Adams, whose linguist and interpreter Louise Banks is the heart and soul of the plot. After a number of disk-shaped, hovering craft appear, Banks is scooped up by the U.S. government — along with Jeremy Renner’s mathematician Ian Donnelly — and given the task with communicating with the beings inside, a pair of tentacled forms that employ a written language of circular ink blots. Beautifully shot and scored, Arrival is heavy on atmosphere, which hums in harmony with the largely abstract themes on screen. And in a year as divisive and rhetorically toxic as this one has been, it’s poetic — maybe fated? — and cathartic to watch a film that champions a rejection of competition and isolation in service of a greater good. Optimistic and movingly heart-breaking, with an arthouse-quality production and craftsmanship, “Arrival” is the 11th-best movie of the year. Putting together a top 10 movies list is never easy. There’s always too many films and a nagging sense of betrayal as I’m forced to drop titles from the running, let alone the hair-splitting agony of figuring out which film to christen as the ultimate champion for the year. I try to alleviate this with my honorable mentions, which helps, but there’s always at least one more movie I want to recognize. So a few years back I started naming an 11th best film, an honor reserved for a big-budget, mainstream, popcorn film that excels above the too-frequent mindless bilge produced by the Hollywood tentpole machine. Sometimes there is no such film, but this year it was an obvious choice. To criticize comic book adaptations of being formulaic is the lowest of hanging fruit, but the genre rivals romantic comedies for their paint-by-numbers predictability. 1. Introduce hero doing something heroic. 2. Introduce love interest. 3. Introduce villain being evil. 4. Send hero after villain. 5. Place love interest in peril. 6. Introduce complication that suggests hero will fail/villain will succeed. 7. Have hero and villain punch each other really hard. 8. Hero emerges triumphant, saves love interest. 9. Sunset, ride off into. The first Captain America followed this pattern, giving us the milquetoast Steve Rogers who, after an injection of magic juice, went on a two hour Nazi-punching campaign. Spoiler alert, I guess, but the ending had villain Red Skull vanishing into a ball of magic space light while Rogers plunged into the arctic so that we could fast forward to the movie we really wanted to see, The Avengers. 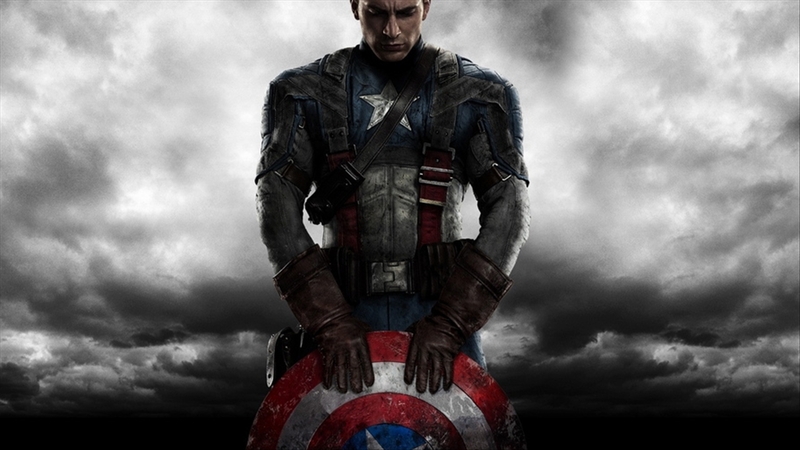 It didn’t exactly leave me chomping at the bit for more of the star-spangled Cap. But Winter Soldier was no phoned-in creation of redundancy. It took the loose threads left by The Avengers, namely the super-secret spy organization S.H.I.E.L.D and pulled while the connective fabric of the Marvel Cinematic Universe unraveled. The result was a comic book movie that was more political thriller than rock ’em sock ’em cacophony, complete with a who-can-we-trust paranoia and a ripped-from-the-headlines criticism of the modern security state. After TWS, nothing in the MCU feels the same. Promos and chatter suggest the remaining films of Marvel’s phase 2 and some of Phase 3 (including the next Captain American installment) will continue and expand on the fissures created by Steve Rogers’ second outing. The result is an invigorated curiosity in the behemoth multi-film extravaganza that is The Avengers that makes me look at the never-ending slate of new films with cautious optimism, rather than creeping boredom. I started naming an 11th best film two years ago. The idea was to reserve a special recognition for mass-market popcorn films of high quality that failed to make the final cut. For example, past winners include 2011’s Mission: Impossible – Ghost Protocol and 2012’s Skyfall. But this year, I found myself stuck. I boiled the candidates down to World War Z and Iron Man 3 – both great films that I enjoyed – but neither of which felt right to sit, ostensibly, as one-slot-away from the Top 10 films of the year. World War Z ends with a cleverly creepy third act, but that only serves as a reminder of how uneven and – pardon the pun – lifeless the rest of the film is, as Brad Pitt’s character hop-scotches around the globe getting out just in time and magically landing exactly where he needs to be. It’s essentially 2012 without the cheesy acting. Iron Man has the opposite problem. The first two-thirds are excellent, trading impressive action sequences with witty humor and culminating in a gonzo reveal, only to then devolve somewhat disappointingly into an over the top explode-a-thon that sees Guy Pierce’s villain literally breathing fire and the most predictable non-death in Marvel Cinematic Universe history. As I wrestled with the decision, my mind kept being drawn to my drafted Top 10 list, which had one title too many. A title I knew would likely be knocked out entirely once I finished screening all of December’s releases. A title that I couldn’t bear to leave off the list, having given it a perfect A rating and having enjoyed it so thoroughly. But then I remembered that I AM Wood’s Stock. I MAKE the categories. I AM THE LAW! 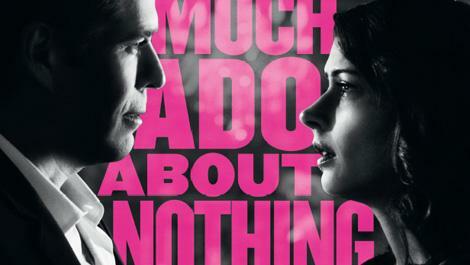 Directed by Joss Whedon (The Avengers), and shot in a minimalistic black-and-white over the space of a few days at Whedon’s family home in California, Much Ado About Nothing sees all of our favorite Whedonverse friends (Nathan Fillion, Clark Gregg, Amy Acker, Alexis Denisof, Fran Kranz, Sean Maher, etc.) spouting the Bard’s prose in a modern take on one of Shakespeare’s best comedies. The story, for those of you who skipped English Lit in high school, revolves around two couples: the sweet, young Claudio and Hero and the independent and disdainful Benedick and Beatrice. While gathered together at the home of Leonato, the Governor of Messina, friends conspire to bring Benedick and Beatrice together while enemies plot to drive Caudio and Hero apart. Setting aside the pure delight that this movie is, the existence of a film like Much Ado About Nothing in the current cinematic landscape is something that demands attention. This year saw many seasoned film veterans (including Steven Soderbergh, George Lucas and Steven Spielberg) lamenting the state of modern film-making and forecasting a dire future as more studios look toward the ballooning budgets of so-called “tentpole” films for their survival while choking out quieter, more artistic storytelling. Soderbergh announced his retirement (we hope he’s not serious) and Spielberg predicted that a few big-budget losses would start a chain reaction leading to an “implosion” of the studio system. He said that in June, right between the releases of After Earth and The Lone Ranger, which went on to be two of the biggest flops in box office history. Which brings us back to Much Ado. Joss Whedon made the Avengers in 2012. It was the most successful film of that year and the third most successful film of all time with a worldwide gross of more than $1.5 billion. It cemented his status as nerd demigod and creative overlord of the Marvel Cinematic Universe and all but extended the keys to the Hollywood kingdom into his hands. So how did he follow up that success? By calling up a few of his friends for a weekend getaway where, what the heck, let’s make a movie. I would imagine that making Much Ado was essentially one big party, and that energy pours from the screen and infects the audience. The film moves along with such a sense of effortless charm and playful ease that you feel like you’re among friends, giddily participating in the ruse that brings Benedick and Beatrice together and anticipating the final reveal where things are made right between Claudio and Hero. It was one of the smallest of 2013’s films and also one of the best, a master class on intimate, emotional storytelling. Here’s hoping other directors were taking notes. I can proudly say that I am MUCH more prepared this year, and that, combined with an altogether better crop of films in 2011, has made for a harder time narrowing the field down to 10. I recently posted my honorable mentions and I think I’ve finally settled on the final batch (now I just have to rank them, ugh) but there was one more movie that I wanted to give an honorary kudos to. So, I would like to give you the first of what I hope will be an annual tradition here at Wood’s Stock, the 11th Best Film of the Year Award. Number 11 is more than just “what would have been number 10 if it hadn’t been for those meddling kids,” it is a loving tribute to populist, popcorn cinema; a slot specially reserved for a film that was produced for broad, mass market appeal but still managed to keep things classy, smart, and show us something new. It’s the “fun” movie that is ok to love. While it is true that yes, I am a longtime fan of the franchise AND it’s star Tom Cruise (greatest American action star, ever) the fact remains that M:I is in an exclusive class of multi-installment franchises that not only uphold their quality over time but (arguably) improve. Other such club members include LOTR, Back to the Future, Bourne and Harry Potter. While there are greater and lesser Missions there has never been an outright bomb. And so we arrive at the fourth Mission, once again helmed by a new director per tradition (a brilliant move that has made each mission seem like a stand-alone action piece) this time Pixar alumnus Brad Bird making his live action directorial debut. Apparently the move to real life came easy to the director because Bird packs more seamlessly choreographed sequences into 2 hours than I thought possible and makes you go “did they seriously just DO that?”. The narrative skips around the globe without taking a moment to breath while our team of rag-tag agents fight against time to stop nuclear war. In the hands of a lesser man (cough: Michael Bay) the moving pieces would become blurred and confusing but Brad keeps things quick, clear, and on point. The film has its weaknesses, namely that the villain is essentially absent and the agents themselves are so good that not only is failure not an option, it doesn’t ever seem like a possibility. I also would have liked to see more Face Masks, since that’s the defining shtick of the franchise. I was also a little irked by some of the creative decisions that the writers took in regards to M:I-3 (my personal favorite of the 4) but I’ll leave that spoiler-filled discussion for another day. Still, if it’s spectacle you want then it is spectacle you get and more. Tom Cruise’s star may have dimmed in recent years but I would hope that he wins some detractors back. He’s surrounded by hipper, younger stars but this is still his show and he makes saving the world look good, and effortless.